Winter Salad - Eat. Drink. Love. Happy 2017, my friends! I can’t believe the holidays are already over and it’s time to get back to regular life. I always have mixed emotions when the new year hits. A part of me can’t wait to clear away all of the holiday decor and move on, and the other part feels a bit sad to say goodbye to the holidays and spending so much time off with family. This year, however, I am okay and ready to move on. I want to de-clutter and now that 2017 is here, it’s time to seriously get ready for baby #2 to arrive! I’m also totally ready to stop eating carbs and sugar. Seriously. This baby has been giving me a sweet tooth that I didn’t have with Madeline. I’m also craving more carbs which isn’t so good. 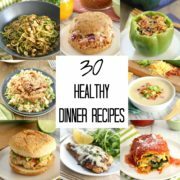 It’s time to say goodbye to all the holiday indulges and to go back to lots of salads and veggies! 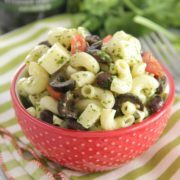 This Winter Salad is the perfect way to kick off your new year. 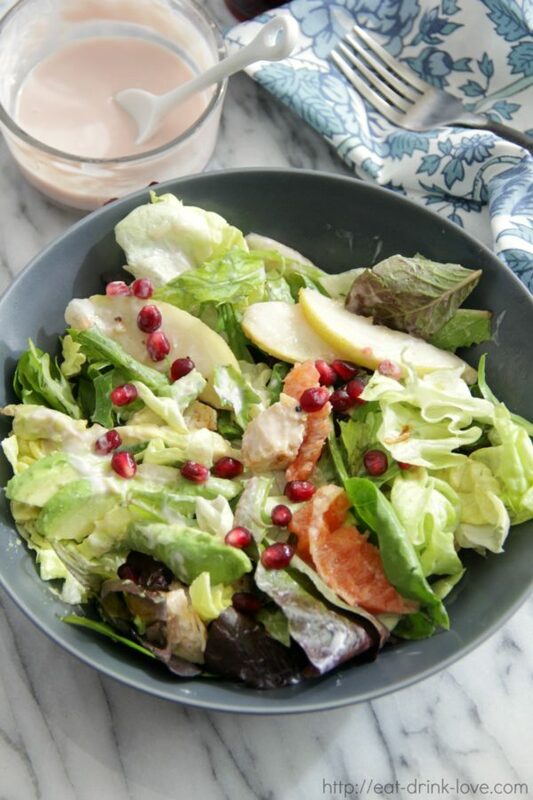 I’ve topped this salad with pomegranate seeds, clementines, avocado, chicken, and ripe pears. Lots of good winter produce in this salad! I skipped the cheese, but crumbled goat cheese would be kind of amazing. 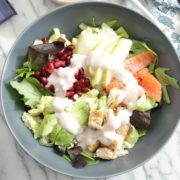 For the dressing, I made a homemade creamy pomegranate dressing with yogurt. The dressing is so yummy, I could just eat it with a spoon! I hope you all have a healthy and fantastic 2017! 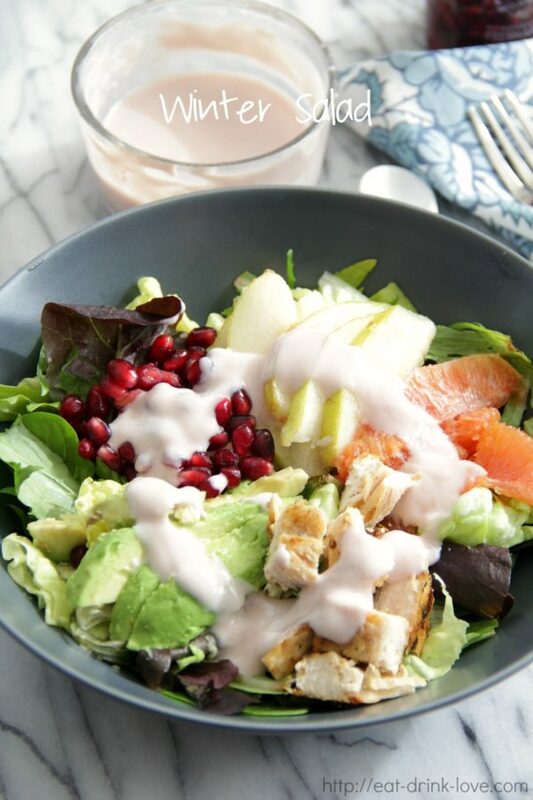 Prepare the dressing by heating the pomegranate juice in a small sauce pan over medium heat until it simmers. Lower the heat slightly and let the juice reduce to 1/4 cup. Remove from the heat and let cool. In a bowl, whisk together the cooled pomegranate reduction and all of the remaining ingredients. Cover and chill in the fridge. 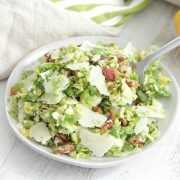 In a large bowl or plate, layer the lettuce and arrange the toppings. Drizzle desired amount of the pomegranate dressing on top. Toss to combine. Serve. Store leftover dressing in a container in the fridge.